Hey guys! It’s Allison here from House of Hepworths. 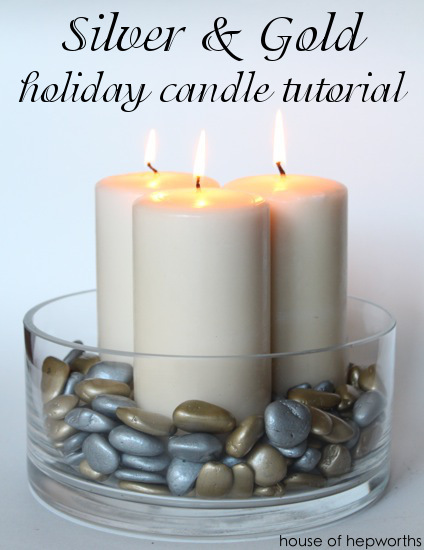 Today I’m going to show you how to make a festive holiday candle. 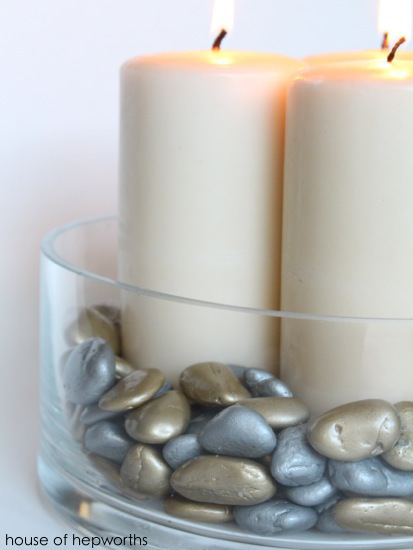 It looks really classy and was so easy to make. Anyone can make this, I promise! 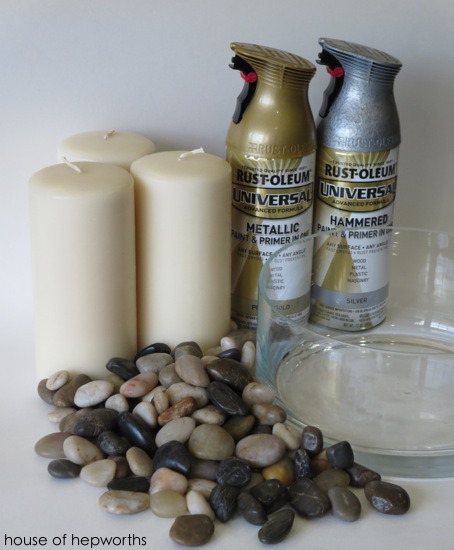 To make this silver & gold holiday candle arrangement you will first need to gather your supplies – 3 candles (here are some great flameless options too! 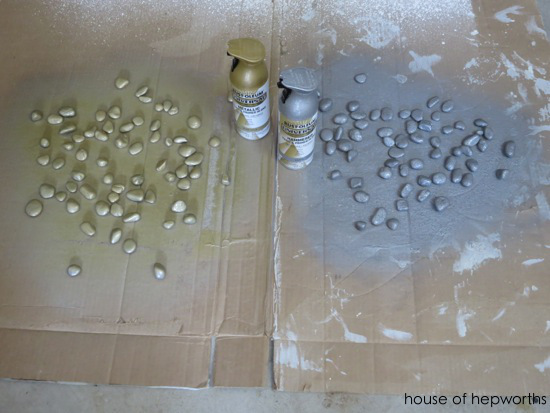 ), a glass vase or dish, basic river rocks (can be purchased at any local True Value), and gold and silver spray paint. 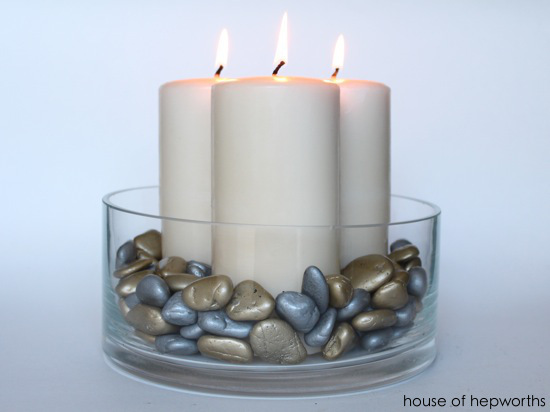 You are now almost finished with your beautiful holiday candle arrangement! 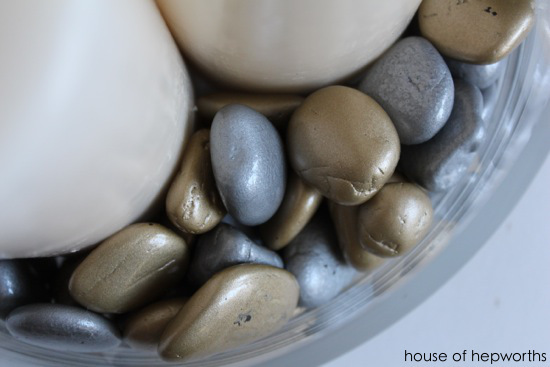 Gather up your stones, mix them together, and set aside for a minute. 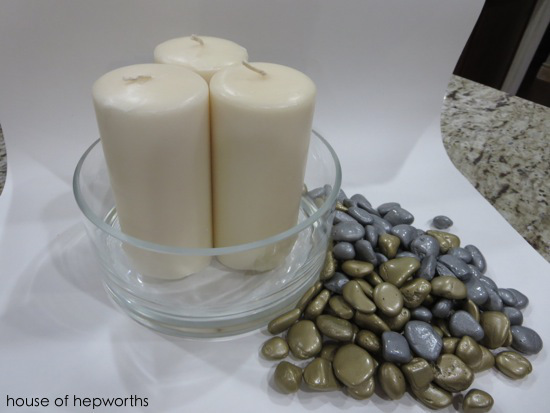 To complete this arrangement you first add your candles to the dish.